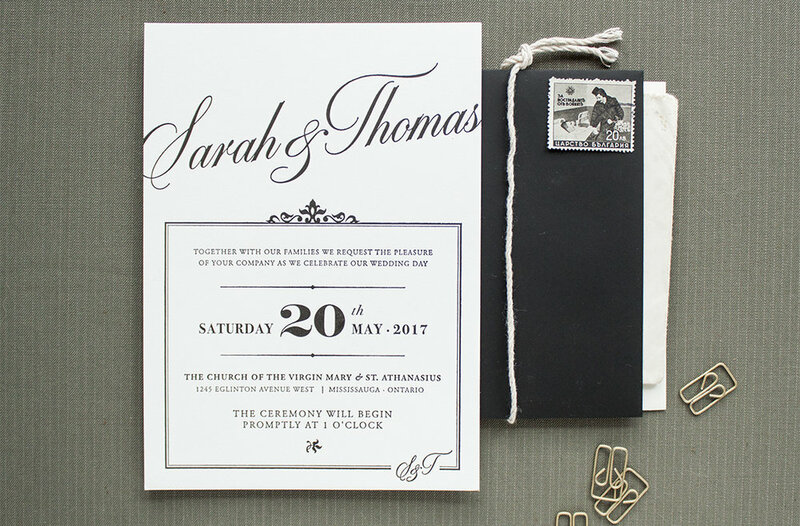 Keeping it simple can really pay off. 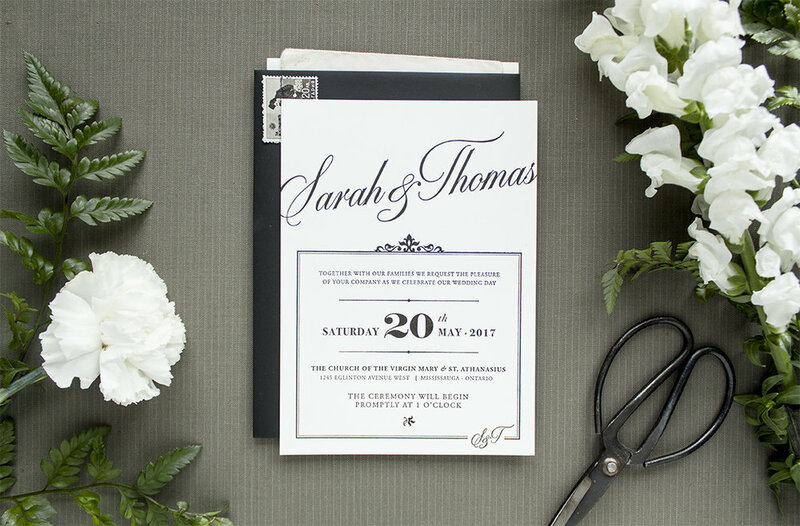 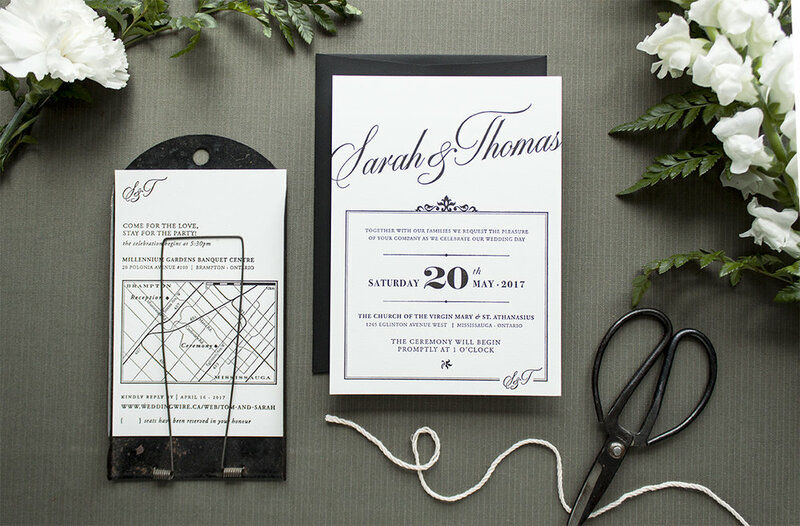 And while there are some beautiful details included in these vintage inspired invitations, we kept them clean with black letterpress on natural cotton. 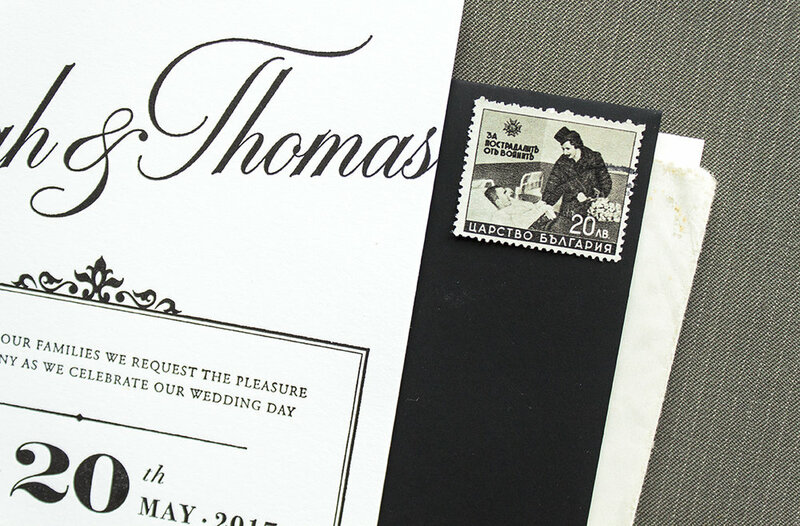 Paired with a black suede envelope, this suite is an instant classic.